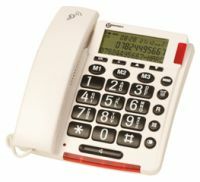 This section includes a range of telephones and accessories designed for use by individuals who are deaf, or have hearing loss. 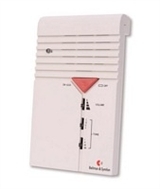 This includes telephones and accessories to amplify or visually represent either the caller's speech, or the phone ringing. 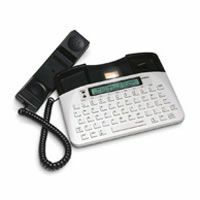 Telephones designed to work with a hearing aid are listed under telephones with a built-in inductive coupler. 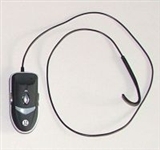 If you wish to use a mobile phone with a hearing aid then you may wish to consider the ear hooks and neck loops in the mobile phone accessories section. Textphones that let you read the conversation on a display without needing to hear the other party are also included. 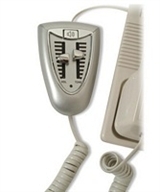 If you use a hearing aid with a 'T' position setting then you could look for a telephone that has a built in inductive coupler. 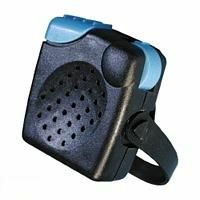 This is designed to transmit sound directly from the telephone earpiece to your hearing aid without background noise. If you're not sure whether your telephone has an inductive coupler look for a label on the underside of the phone or on its original box saying 'hearing aid compatible' or 'inductive coupler' with an ear symbol (as shown above). 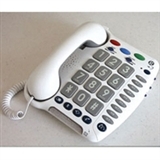 We advise you not to rely on a cordless phone as your only telephone because they only work when powered by mains electricity. 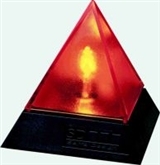 You will not be able to make calls, including emergency calls, during a power cut. 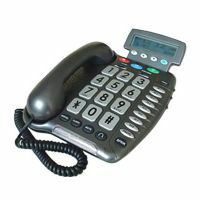 Consequently, if you do have a cordless telephone we advise you to keep a corded telephone or a mobile telephone (with a freshly charged battery, airtime credit and which receives a good signal) handy for emergencies. 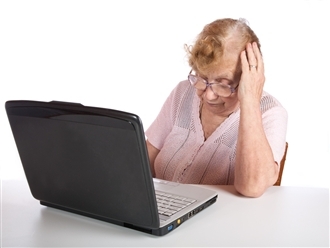 For further information refer to Action for Hearing Loss's range of factsheets on both mobile phones and landlines.